Why is Preventative Maintenance so important with glue melters? It takes a little effort to keep all those items maintained, but the pay off is having your assets last longer and enjoying them more in tip top condition. You know that keeping the proper air pressure and balance with your tires extends the life of the tires. Tires are expensive, so you perform easy preventative maintenance to make them last longer. This is the same with a glue melter. You can do minimum maintenance to extend the life of the melter. Keep your melter clean inside and out. Purge regularly with a non corrosive solution. We recommend Red Baron Cleaner. Change the tank/pump filter and inline filters regularly to extend the life of the pump, applicator heads, modules and nozzles. 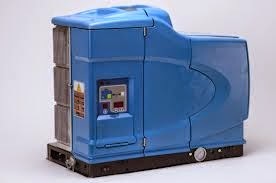 Check your operating temperatures frequently - can the glue tank operate a little lower than the hoses/heads? This will prevent as much char in the tank. Check your adhesive recommendations. Always make sure the melter is topped off with adhesive. If staffing shortage hinders having those topped off, please consider an Auto Feeder. Keep the lid closed to discourage contaminants in tank. Keep the dry adhesive covered to discourage entrance of contaminants. Verify hoses are not kinked or pinched. If kinking is an issue, check into a different angled fitting at head or tank end to straighten the hose. Use the stand by mode on melter to prevent idle cooking of adhesive. Just a little extra effort all along can give you more good years of operation for your melter.